I have always loved chickens. Even as a child I can remember toting them about, loving on them, naming them and kissing them. While I still tote them, love them and kiss them I refrain from naming them. But that is another story. Today I’d like to introduce you to the girls. The main girls. Head wives if you will. You recall Randy I suppose, my only named chicken and only rooster. 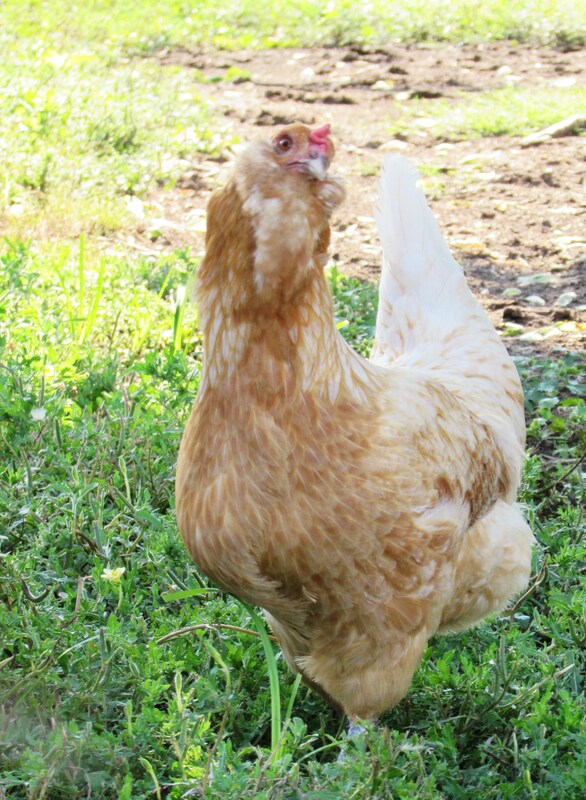 Well, these are the other chickens remaining out of my original flock. 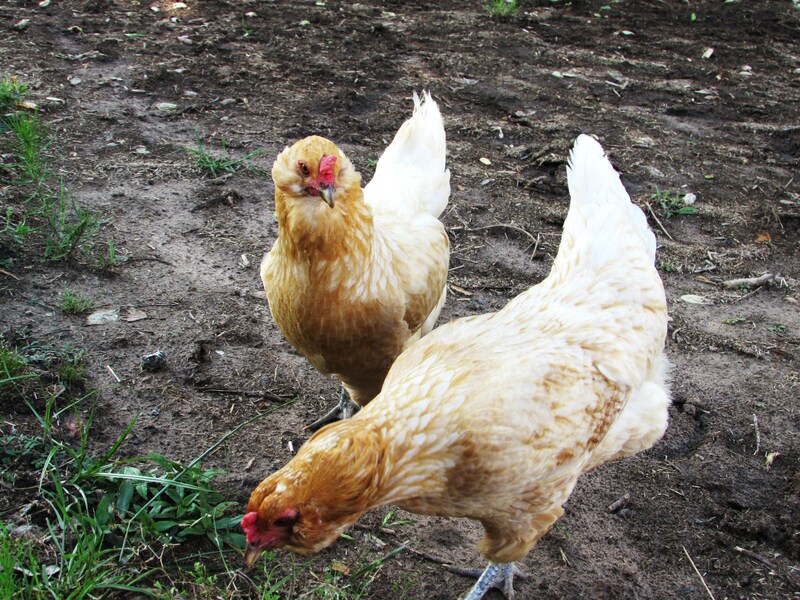 2 hens and a rooster left from 40 chickens in 9 various breeds that I began with in 2011. I find it interesting that they, the survivors, are all Ameraucanas. Maybe they are telling me something….. They are lovely ladies, even when being camera shy. 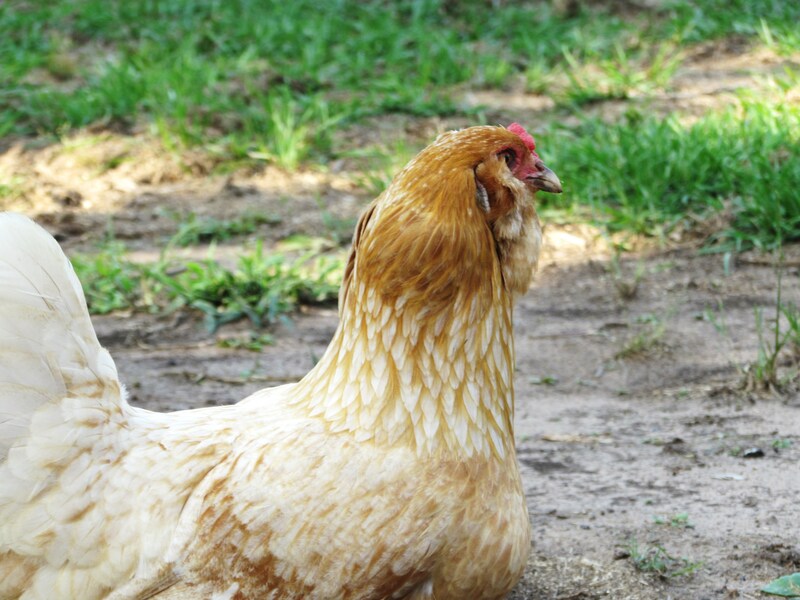 One thing I have found out about chickens, they know their own kind and have a tendency to stick with them. They are really prejudiced. 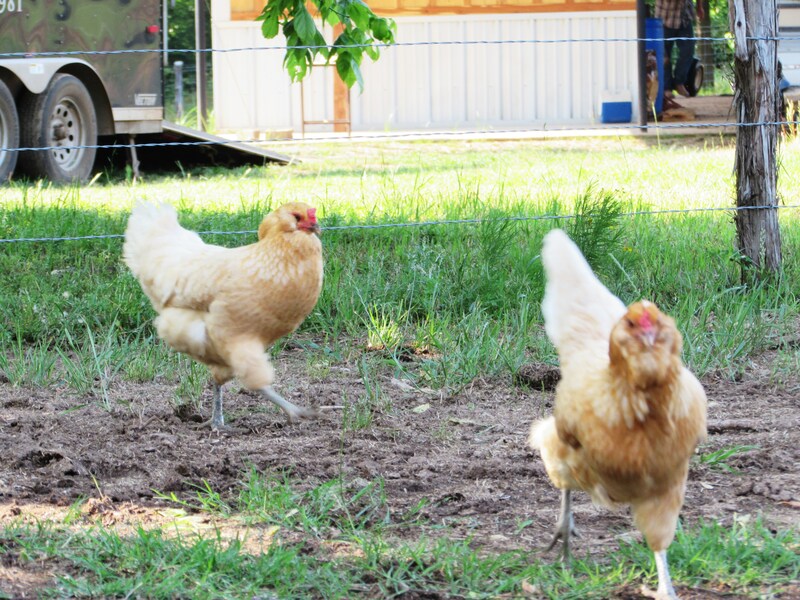 I can just hear them talking….”Girl, did you see what that spotted thang was doing?” “I know it girl, she has no shame!” “Just WAIT until Randy finds out!” To us this all sounds like a long string of “cluck, cluck, CLUCK, chirp, purr, cluck”. But I know better. Chickens, hens in particular, can be very unkind. 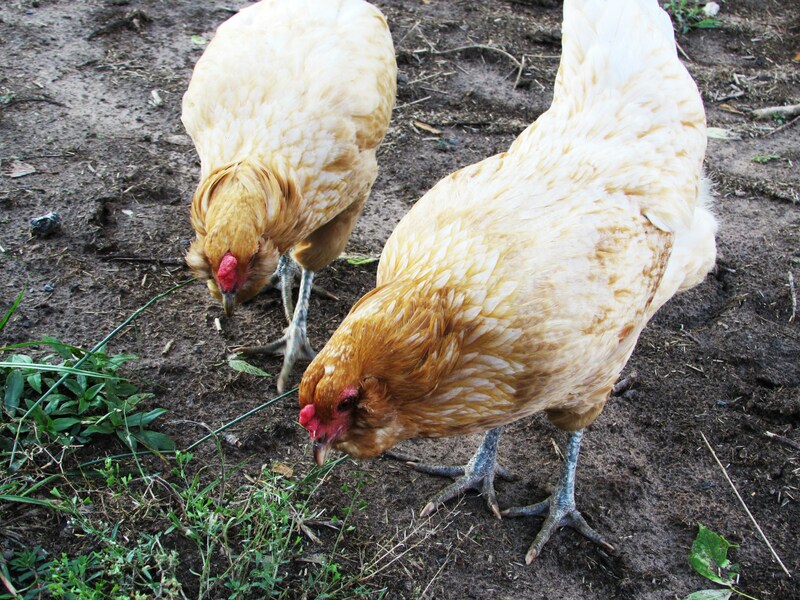 One great thing about chickens is this….they adore poop and horses like to poop in the same spot every day. This happens to be by our back door. 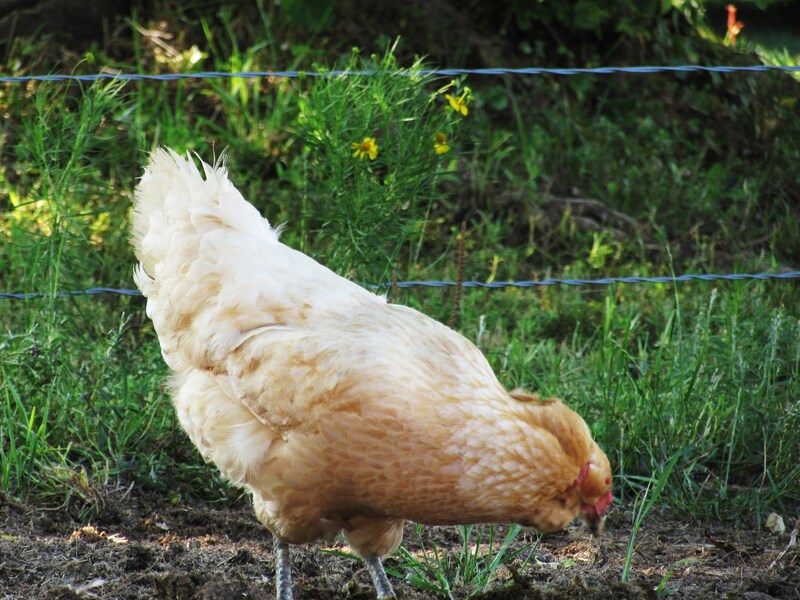 The chickens love to scratch the poop therefore spreading it around so it doesn’t look like we have poop by our back door. Just nice, brown dirt. Works out really well. 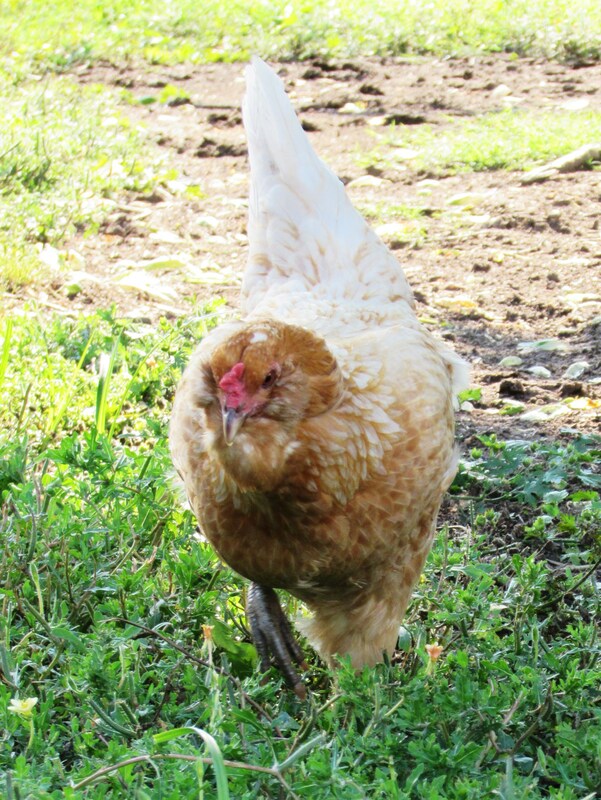 But these girls, they are older and wiser and kinder than most other hens I know. That is probably why Randy prefers their company to that of the younger, more flighty, gossipy hens. 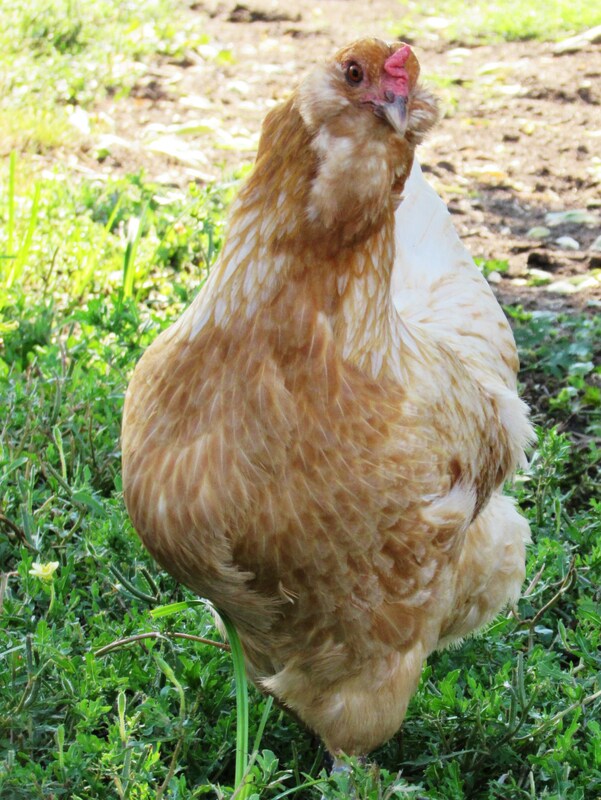 Ameraucana come in several colors, I just happened to end up with both gold hens, I think they are brilliant! I so wish I could let them stay out all the time but free-ranging doesn’t end well in our part of the world. It is neat however to see how excited they are when I get home in the evening and head to the coop, they know what’s coming! You know what I love more than a running chicken? Only a few more hours until I get to go home and let them out once more. Not only their favorite part of the day but mine as well.